Susie has had successful career in occupational health and safety (OHS/WHS) having worked across a broad range of industries in varying capacities. She spent many years working for large corporations in the food industry and the media and progressed to a consulting role where she has worked extensively within the construction sector, the manufacturing and service sectors. Susie commenced in the field of Quality Assurance in 1996 in response to various requests from her client base. Her approach to quality assurance is that it must add value to the business. If it doesn’t add value then there must be a better way. Quality Assurance will improve business efficiency and performance if the planning and implementation is undertaken in a masterful manner. 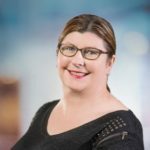 She is a member of the Safety Institute of Australia, and has a Graduate Diploma Occupational Health and Safety (QUT) as well as an Advanced Certificate in Occupational Health and a Bachelor of Business (Management) from Monash University and has previously been a Registered Nurse. 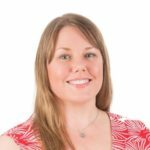 Susie specialises in the review, development, implementation, monitoring and auditing of WHSEQ systems and procedures. Melannie is a qualified Health and Safety Consultant, specialising in Work Health and Safety, Human Resource and Quality Management. Melannie has developed a thorough background in these areas within a range of industries including construction, manufacturing, investment banking and real estate working with both large and small operations. Some career highlights include working overseas for a leading management firm, managing a national safety consulting office, gaining publication in the Australian Construction Safety Journal and being awarded for academic excellence in Industrial Relations Strategies and Practice by the Industrial Relations Society of Queensland. She has completed a Bachelor of Business majoring in Employment Relations, and is also an accredited trainer, fire safety adviser, rehabilitation and return to work coordinator, first aid officer and member of the Safety Institute of Australia. Our team of work health safety, quality and environment support consultants are specially chosen to enable a broad mix of expertise within our small dynamic team. They work closely with the Principal Consultants to identify client needs and expectations and deliver on these in a timely and professional manner. Our Administration Support team provides support to our WHS Consultants to help fine tune our documentation to ensure they meet the needs and expectations of our clients. You may find our Administration Support members assisting work colleagues on site as they are often in training with the hope to develop skills in Work Health and Safety, Human Resource, Environmental Management and Quality Assurance.